The Leadership Certificate Program (LCP) is a customized experience for CofC students. Students can enroll in the LCP as early as their freshman year. Since it takes three to four consecutive semesters to complete the program, we strongly encourage students to enroll by their junior year. 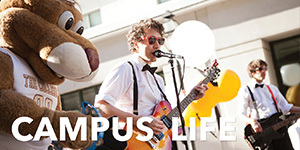 Cougar Excursion: a three-day retreat for incoming freshman. Non freshmen can participate by being a facilitator for the event. 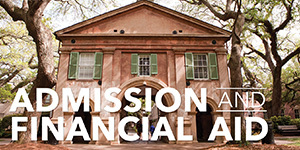 Leadership CofC: a learning opportunity for students who have earned at least 60 credit hours. The Institute by LeaderShape: a week-long, hands-on multidimensional curriculum for 60 students. 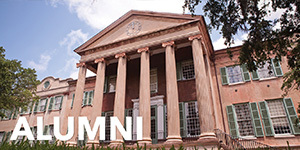 Fall Leadership Conference: a free, one-day educational and motivational conference for CofC students. Classes from the School of Business degree minor in Leadership, Change and Social Responsibility among others. 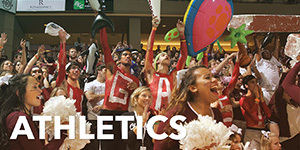 Other select opportunities at the College of Charleston can translate to the program. Meet with the program adviser to discuss how that opportunity translates to the programs' end goals. If you see an event you think will qualify for the Leadership Certificate Program (LCP), let's talk about it! The program culminates in the completion of a personal Leadership Portfolio that is of a design of the students choosing. In the past, this reflective learning has been represented as posters, Power Point slides, presentations, a multi-page essay document, a book with pictures and text, etc. An added requirement to this final artifact is the opportunity to present the key learning points of the artifact to an audience prior to the annual SALA Awards where these students are awarded their Leadership Certificate Program plaque. 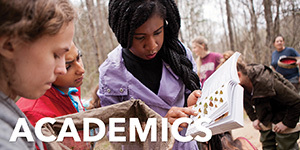 Resulting outcomes for participants include the ability to successfully articulate out-of-classroom learning which includes setting and accomplishing goals, increasing new skills and expanding existing skills, as well as recognizing the application of leadership abilities and the importance of academic perspective. Please read the Leadership Certificate Program Requirements pdf. Sign up for the Leadership Certificate Program. Submit the Workshop Reflection Verification Form. To view a list of students who have completed the Leadership Certificate Program, please visit our SALA page. 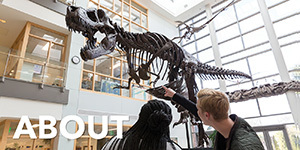 Participants will be able to recognize and articulate the significance of their out of classroom experiences. Participants will be able to assess their experiential learning to make meaning of their experiences. Participants will be able to apply their perspective gained from academic pursuits. Participants will be able to identify key areas of growth based on their out of the classroom experiences and academic pursuits.